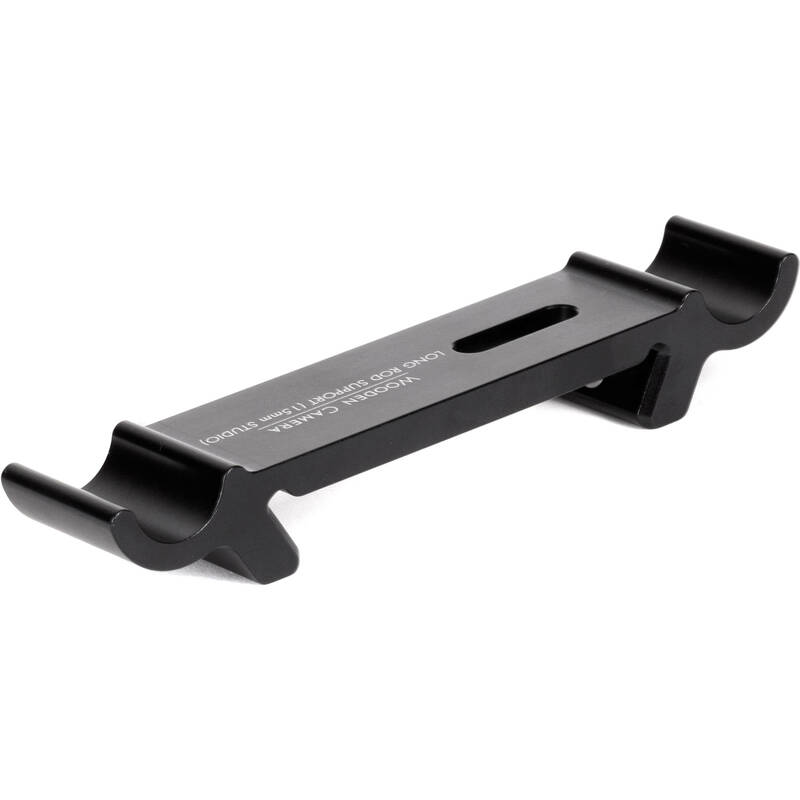 Sometimes when you work with long rods on an expansive rig, the weight of the lens or camera gear may cause droop, so using this rigid Long Rod Support Bracket for 15mm rods from Wooden Camera helps stabilize your rods under heavy equipment. Slide the bracket onto an ARRI-standard dovetail and the two rod pockets fit under standard 15mm LWS rods. Friction keeps the bracket in place.